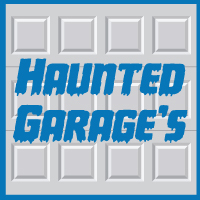 Blue Sky BuildersSkywriters Garage BlogBuilding TipsBuild a Haunted Garage for Halloween! Build a Haunted Garage for Halloween! Halloween is right around the corner, and one of our favorite traditions is visiting haunted houses with our children. But why, instead of going to a haunted house, don’t you build one into your home? The garage, especially a detached garage, can create a horrifyingly brilliant haunted house. Today, we share tips on building a haunted house in your garage and yard. No one wants a lawsuit on their hands, so make sure that anything that can actually harm someone is locked away. Start by removing cars, lawn mowers, tools, and chemicals. Clear out as much space as possible to allow for the biggest layout. If there’s somewhere else you can store your stuff, move it there. If not, just put everything against the walls. Measure out your garage, and draw out the map you plan to make of your garage. This is critical, not only in planning, but on the night of the event. Use space dividers, boxes, boards, and dark sheets to create a maze-like path to the back of the garage. If you want to go all out, Fright Props provides a short guide to building tongue and groove haunted house walls that can be reused in the future. A straight path is fine, so long as you create a few hidden recesses where people can hide and jump out from at unsuspecting trick-or-treaters. If you have a smaller garage, the horseshoe may get the job done. Create one entrance and one exit, with hiding places. Depending on how much you already have, this could be an easy trip to your local thrift shop, Halloween store, and hardware store. Get anything you can find to create the mood from your local Goodwill or Savers. It’s cheaper, and you can get advice from other thrifty shoppers. A few scary movies for motivation. And be sure to head back after Halloween if you would like to do this again next year. Save yourself money. Your haunted house won’t be all monsters and smoke machines. You’re also going to need to build some walls. The easiest way to do this is with black plastic sheeting. Build your walls, hang your decorations, and add the finishing scary touches to the garage. Set the perfect haunted mood by decorating your home in the true Halloween spirit! String lights with Halloween colors outside. Cover your furniture with white sheets, for an abandoned appearance. Paint witches or hanging figures on your window shades. Backlit, and seen from the outside, they are a sign of more scares to come! If there are areas of the house that will be off-limits, mark them as such with police tape. You don’t want to run this alone, and if you haven’t recruited a few people to help build, you will want to recruit a few people to manage this. You’ll need at least two people to dress up in terrifying costumes and jump out of the shadows, and there’s nothing better than the tried and true chainsaw-murderer and demonic vampire. 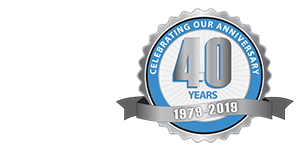 Blue Sky Builders is all about Garages, and hopes that this provides a little bit of motivation into turning your garage into the best in the neighborhood. If your garage looks scary—and it’s not supposed to be—contact us today.